The Samyang 21mm f/1.4 ED AS UMC CS is a very affordable and most importantly very good quality alternative to the OEM offerings, if you can live with the lack of auto-focusing and the transfer of metering information and automatic image quality corrections. The Samyang 21mm f/1.4 ED AS UMC's build quality is reassuringly good, proving to be an ideal partner to the Sony A6000 camera that we tested it with. Focusing manually is straight-forward thanks to the responsive focusing ring and Sony's excellent focusing aids, although we did miss having a hyperfocal distance scale. The aperture ring is also a great feature, although we'd have liked to see 1/3 stop exposure adjustments. Regular auto-focus users will undoubtedly miss the convenience of modern AF systems, though not perhaps for as long or as much as they might envisage, whilst video shooters will positively embrace the de-clicked aperture version of this lens. Image quality is generally good, especially in the centre of the frame. There are some optical issues to be aware of, though, most notably quite prevalent chromatic aberrations, obvious corner shading until you reach f/5.6, and a lack of sharpness wide-open at f/1.4 in the centre and from f/1.4-f2.8 at the edges. 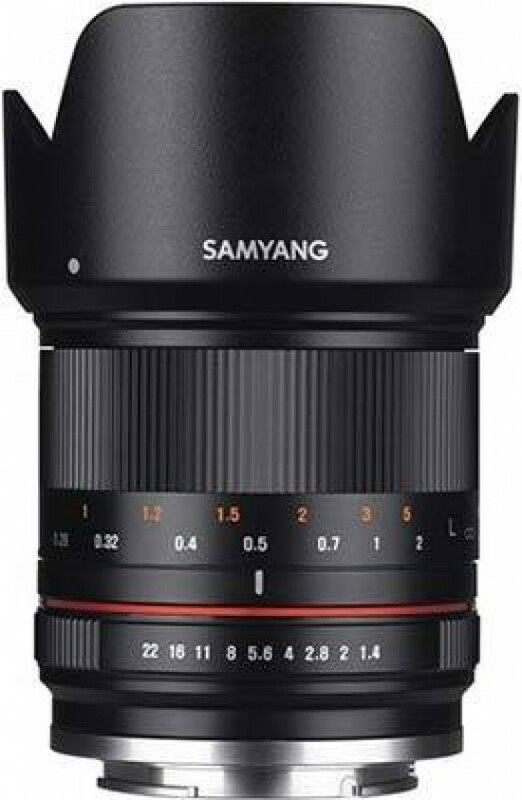 If you don't mind the lack of auto-focusing or big-brand name, we can certainly recommend the Samyang 21mm f/1.4 ED AS UMC CS as a very affordable wide-angle prime lens for mirrorless camera owners that delivers pleasing image quality via an "old school" manual approach.